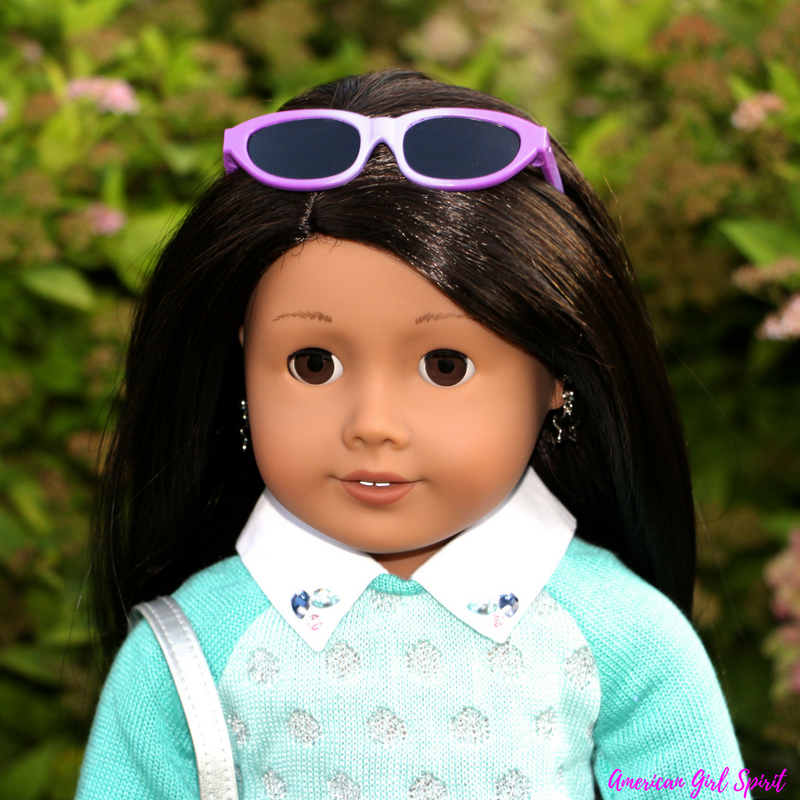 Eva, Truly Me Doll #42 loves her new back to school outfit. 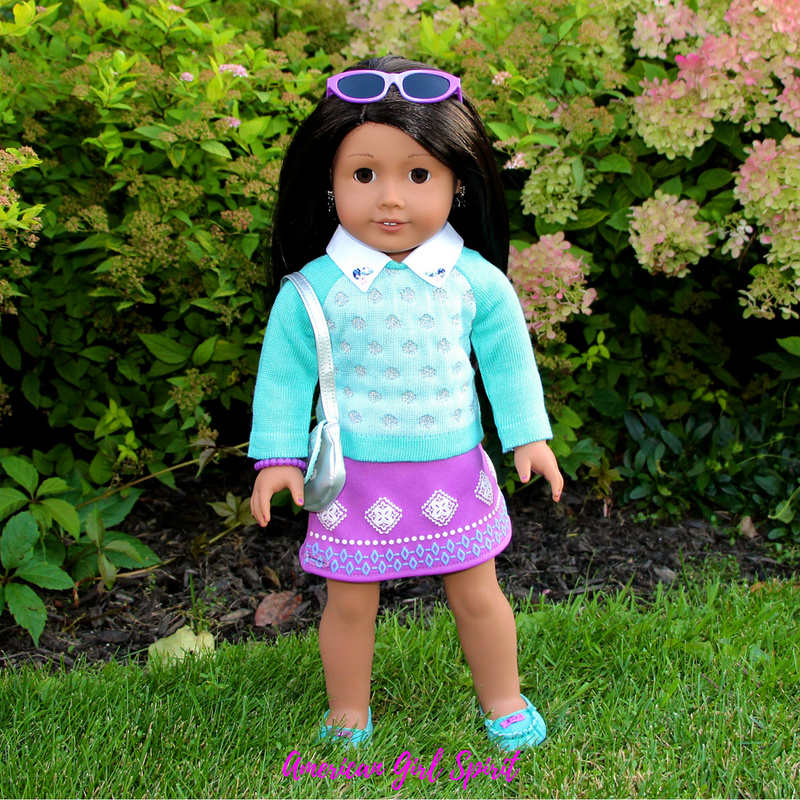 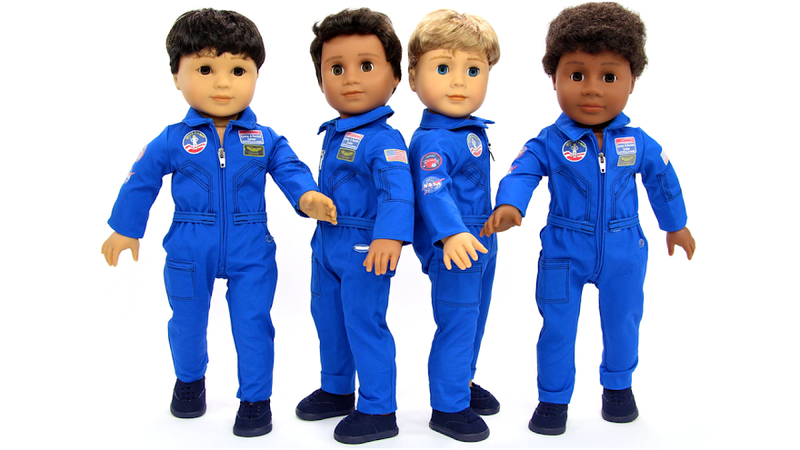 Her fun outfit consists of American Girl's Mix & Match Fashion and Accessories. 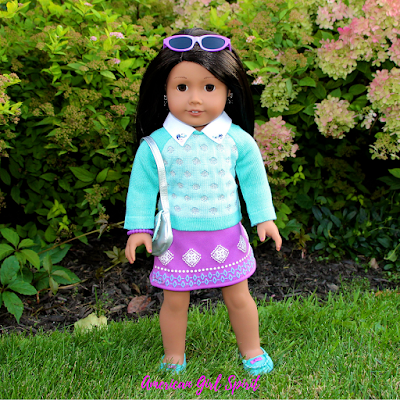 She is wearing the Classic Knit Sweater, Purple Skirt, Teal Moccasins, Sporty Sunglasses and the Starry Silver Purse. 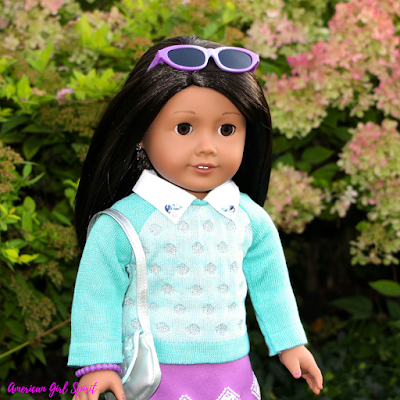 Eva loves to keep up with all the fun fashion trends and this is her favorite fall outfit!